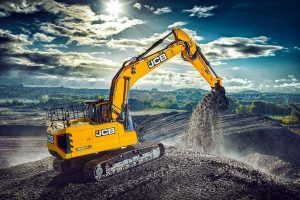 Though the company is known more for its backhoes and telehandlers, JCB’s latest machine introduction could go a long way in changing that. 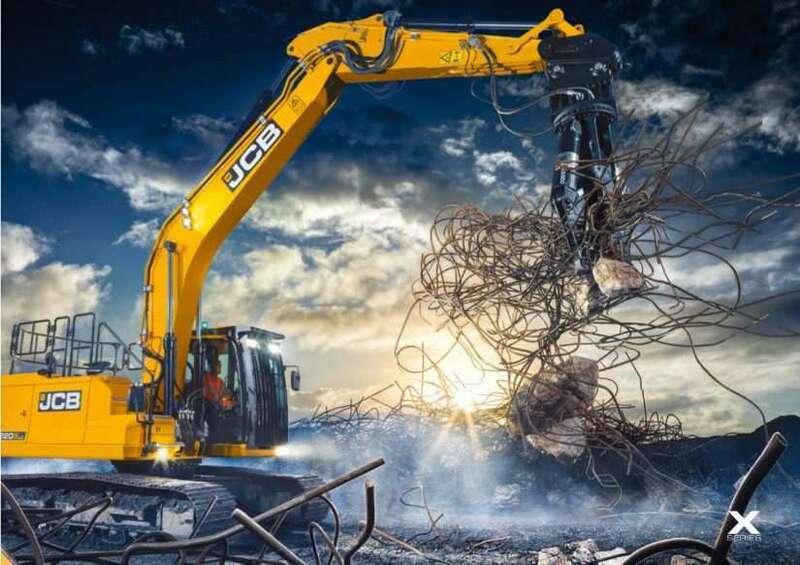 In a development process that the company says took “four years…and thousands of hours of extreme endurance testing,” JCB’s chief innovation and growth officer Tim Burnhope says the new X-Series excavators move the company “to a totally new level of product development and machine assembly”. Ushering in the announcement of the X-Series is the initial model in the new lineup, the 22-ton 220. In the development of this machine, JCB says it focused on operator comfort, machine durability and service/repairability, an increased efficiency. The primary difference between the cab of the 220X and the previous JCB 22-ton models is size. 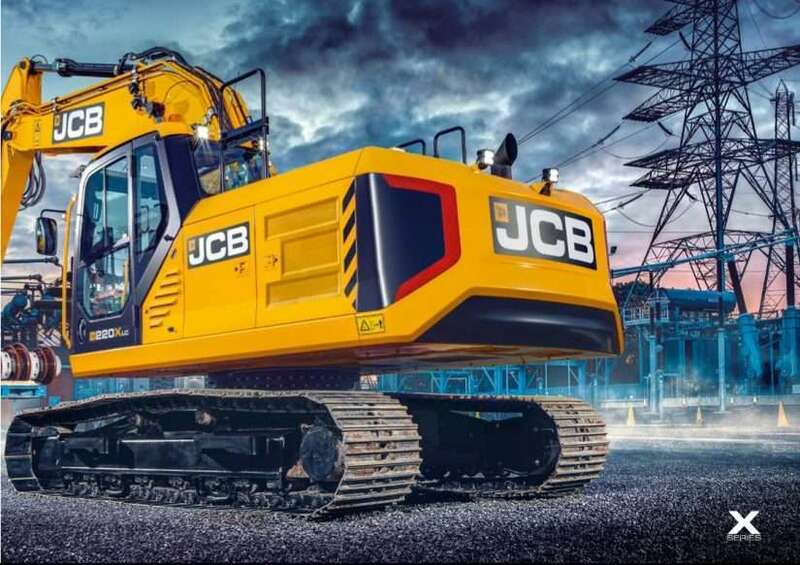 JCB says the cab’s length has been extended by nearly 4 inches, while its width has been increased to just more than 3 feet, making the new cab 15 per cent larger. Inside, operators will find a new, more comfortable seat with all of the machine’s controls and switches mounted to the armrests in what the company calls the “control pod.” Situated nearby is a 7-inch adjustable monitor that is controlled through an automotive style rotary controller. In addition to this control setup being ergonomic and easily accessible, JCB says its tests have shown that operators have been able to carry out operations faster. 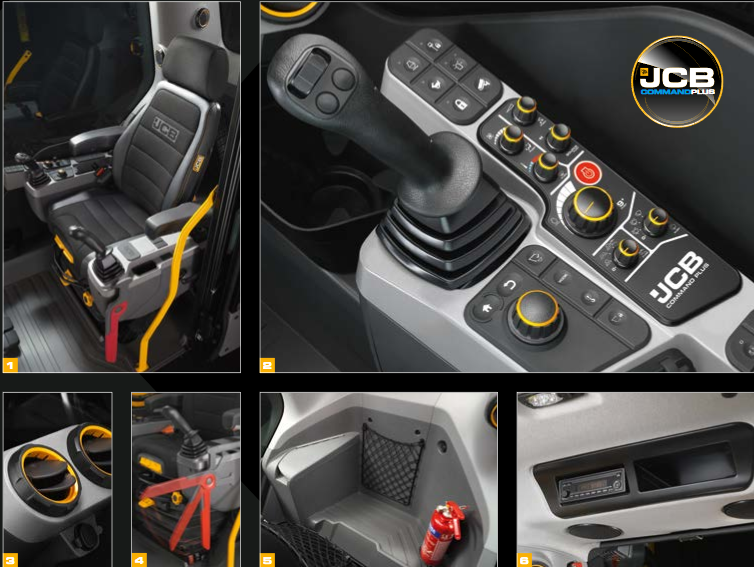 Spacious JCB CommandPlus cab with a high-quality injection moulded interior. Industry-leading Grammer seat with wide, adjustable armrests that reclines 145 degrees. New track pedal design with T-bars as standard with non-slip coating and optimized ergonomics. Joystick and switch controls are mounted to pods which are suspended from the seat and move with the operator for optimum control and less fatigue. Powerful new HVAC, with 11 targeted vents for optimum performance in hot and cold environments. Cool/heat box as standard. Industry standard isolator lever operation prevents accidental activation when exiting the cab. Spacious luggage tray behind operators seat with 3 independent 12V power supplies. Another handy storage space can be found at the back of the cab in the roof liner, including a hanger for the operator’s helmet. Bluetooth radio is fully integrated into the control screen. USB and phone jack as standard. A completely flat floor inside the 220X makes entry/exit and cleaning easier. In addition to a quiet 67-decibel noise level inside, isolation from vibration and other jolts is better thanks to the four new mounts the cabs sits on. 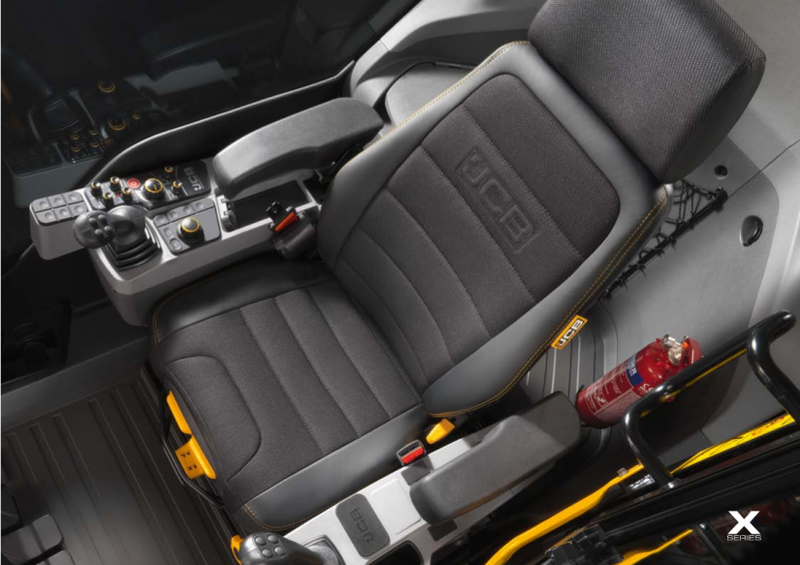 JCB has also redesigned the foot pedals and footrests to be more comfortable. 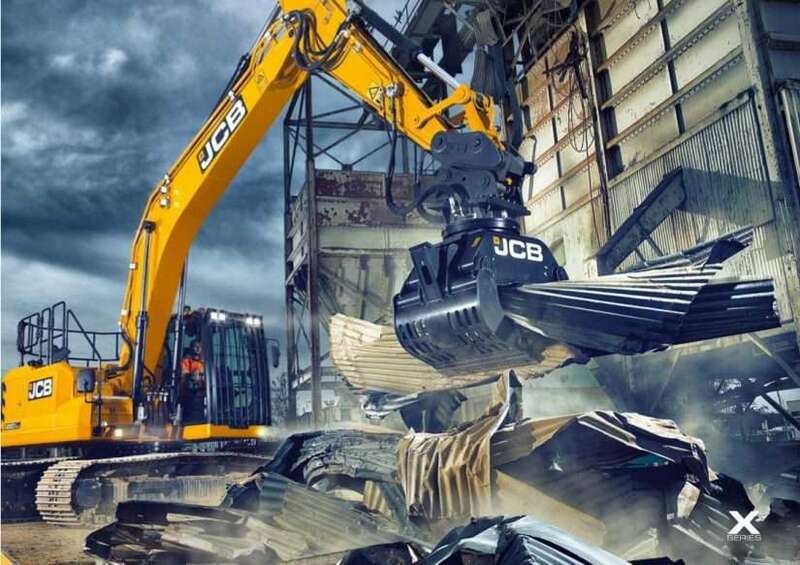 To equip the 220X with JCB’s most rugged excavator design to date, the company says it subjected the machine to tens of thousands of hours of durability testing, including 1.1 million test cycles on the machines dig end. The machine’s rigid upper frame, now nearly 8 inches wider than its predecessors, sits on a fully-welded X-frame undercarriage. JCB says it used the additional space afforded by the wider upper structure to mount the main boom in the centre of the machine, rather than at an offset. The company says the new placement has reduced stress on the slew bearing while providing increased accuracy for the operator when trenching. The change also allows for the use of larger buckets without impacting the tracks, JCB says. The boom and arm of the machine are unchanged. However, JCB is offering the option of a boom float with two modes for easier grading and less stress when operating a hydraulic breaker. When it comes to serviceability, JCB says only 10 checks are required on the machine for a 500-hour servicing. Plus, the service interval on the main hydraulic filter has been lengthened from every 1,000 hours to every 2,000. Oil and fuel filters will need to be changed after 500 hours. The new service doors on the 220X are a pressed double-skin steel protected by a pronounced skirt that encircles the upper structure. Tanks on the 220X are mounted inside the body framework to reduce the risk of damage. A large toolbox with integrated refuelling pump with filter is easily accessible. The DEF tank is located under a separate cover to prevent cross-contamination. JCB has cut down on external noise levels from the 220X by placing an air inlet in one access door on the left-hand side of the machine. A large cooling pack with wide-core radiators is standard and comes with a removable fly-screen. The 220X also features a storage area above the batteries, a new consolidated IP69 fuse board, and ground level access to the heating and ventilation system filter. Grease points in the boom and arm have been grouped together to reduce service time, and the bucket ram will be available with an optional hose burst check valve. The 220X is powered by a 4-litre JCB EcoMAX Tier 4 Final engine producing 173 horsepower. The engine is equipped with auto-stop and auto-idle and can provide fuel savings up to 5 per cent over previous machines. 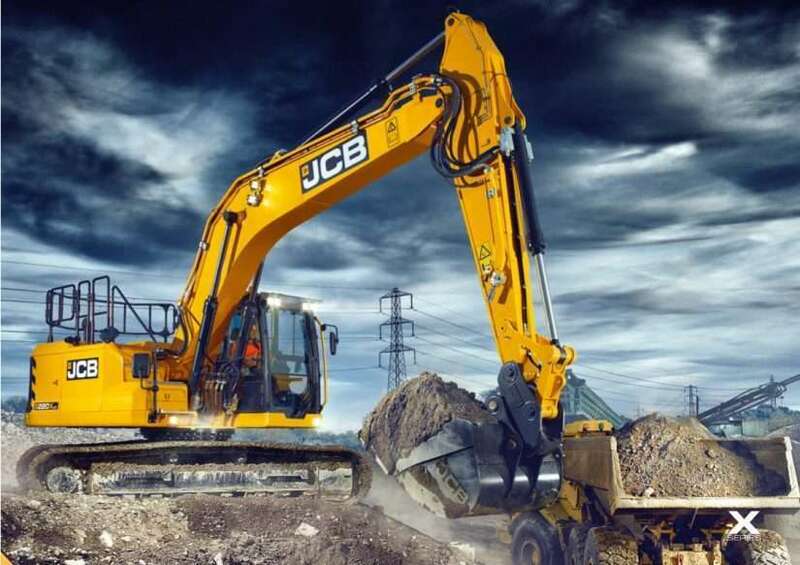 JCB says it has chosen to continue using Kawasaki hydraulic pumps with Kayaba valves while opting for a switch to larger spools and a new valve block for reduced hydraulic losses. The main hydraulic hose is larger, with a diameter of 25mm, compared to the 19mm diameter hose on previous models. The larger hose provides greater flow without increasing the speed of the oil. This, JCB says, results in less wear and tear and therefore increases hose life. Steel or Rubber Tracks: What should I use? New Stocking Location in Auckland!